Week two on the farm was a bit warmer than the first week. Every Monday morning we do a “Farm Walk” to observe everything and make task lists of the work that needs to be done. 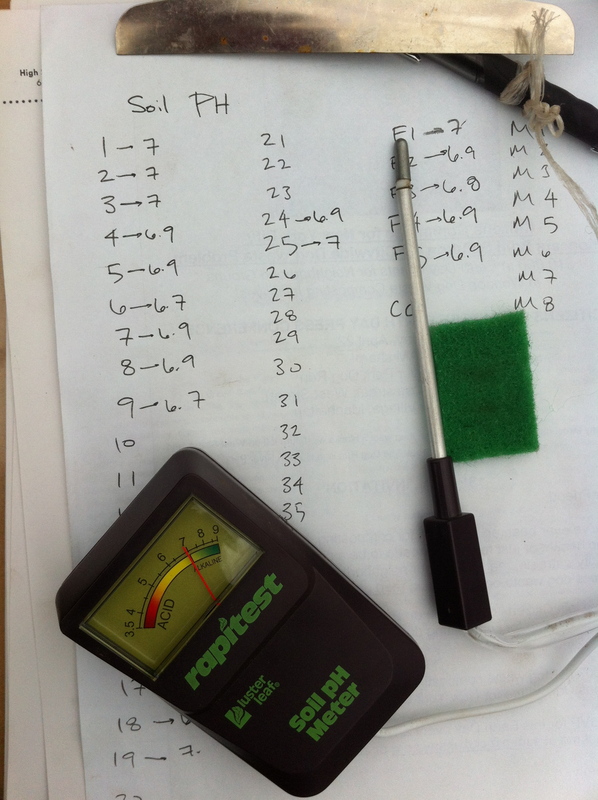 It’s inspired me to try to do some similar weekly assessment / task list in my own garden at home. At the end of each day on the farm, we do record keeping and make sure that the sowing, irrigation, and harvest logs have all been updated and that any completed tasks are checked off. 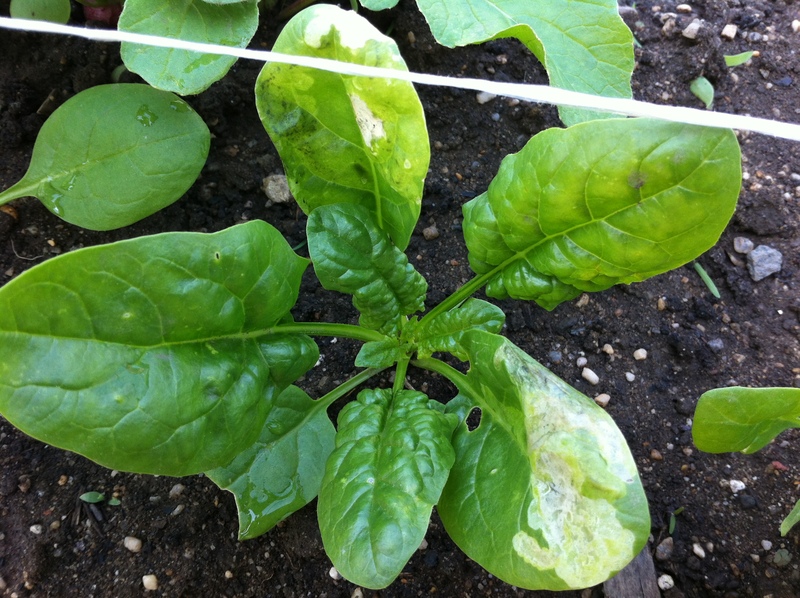 This spinach planted in the hoophouse also has a lot of leaf miner damage. 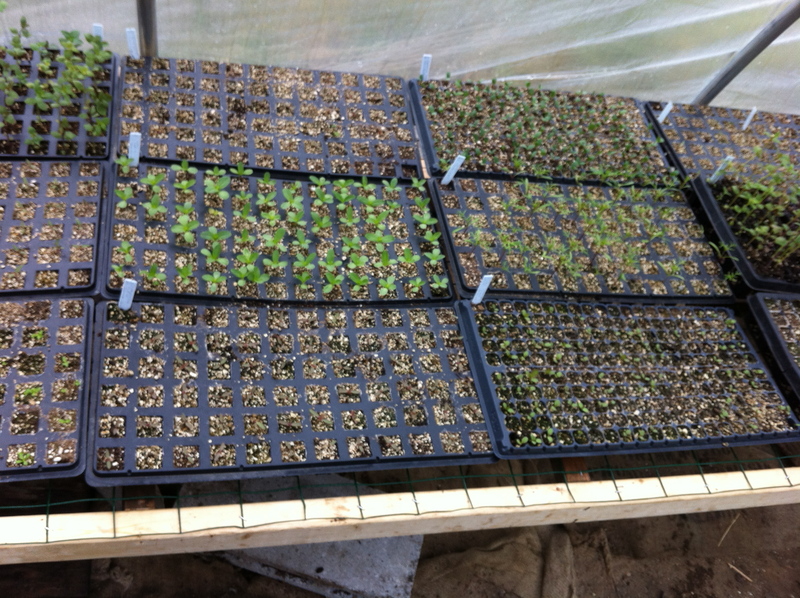 We will have to thoroughly wipe each leaf of each plant in this row to hopefully get rid of them and prevent more damage. 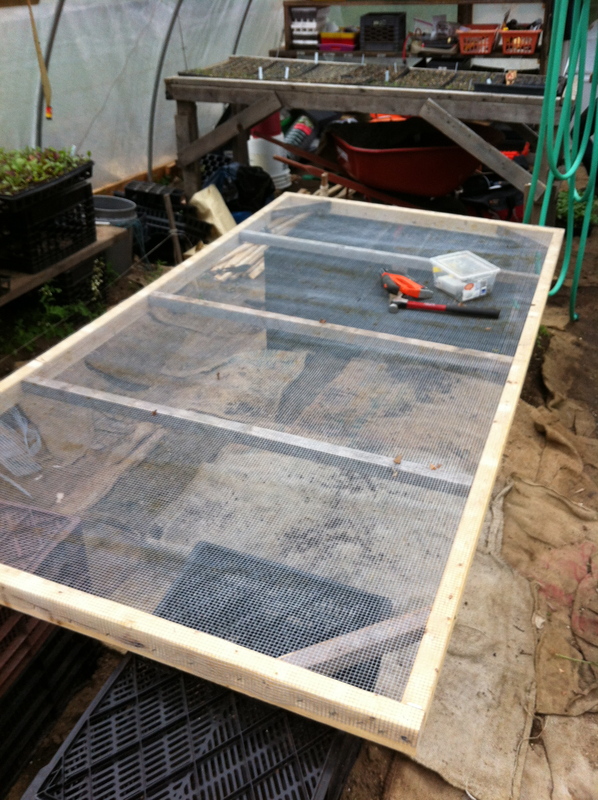 this 8′ x 4′ frame will hold a lot of seedling trays. It’s stacked on crates, so it’s easy to move and/or store if need be. The real treat was when I got to learn how to use a circular saw. No big deal, really, but power tools with BLADES do freak me out a little bit, so I was glad to have some supervised instruction! 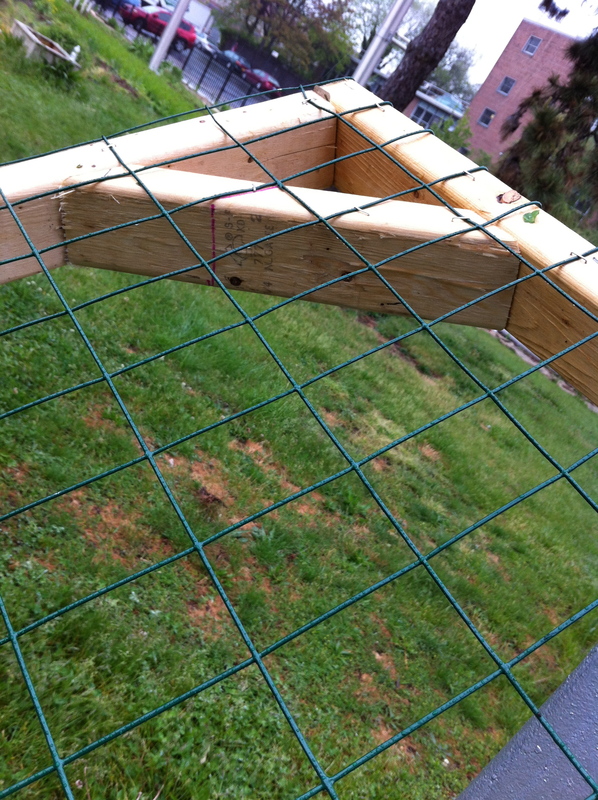 Bret & I made this 8′ x 3′ frame, including the supports and corner braces. We then covered it with some metal garden fencing wire using the staple gun. There were a few small restaurant orders to fill, so we got a lesson in harvesting last week as well. 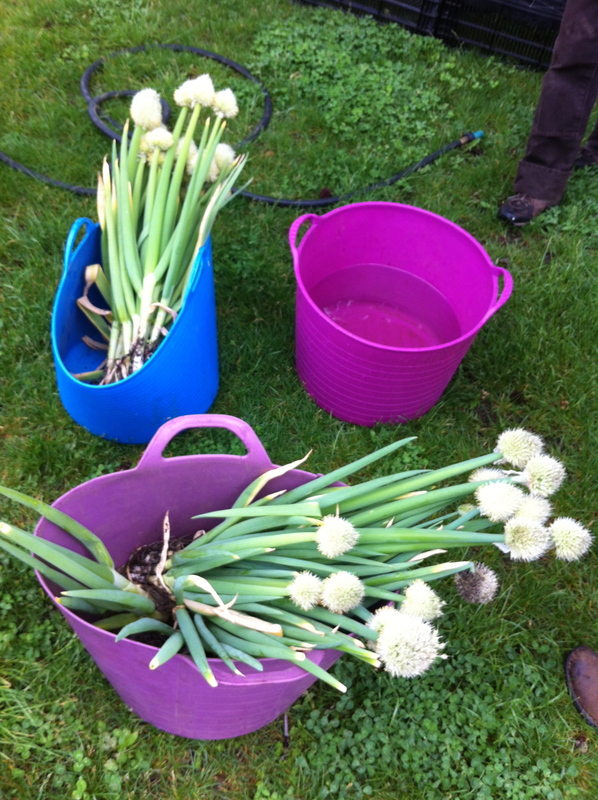 Here are some large green onions we pulled, ready to be hosed off, trimmed, and cleaned up. On Friday I got to help out with pH testing. Every year they test the pH level of each and every bed on the farm. It was pretty easy with this Rapitest reader. Of course there was more weeding to do. 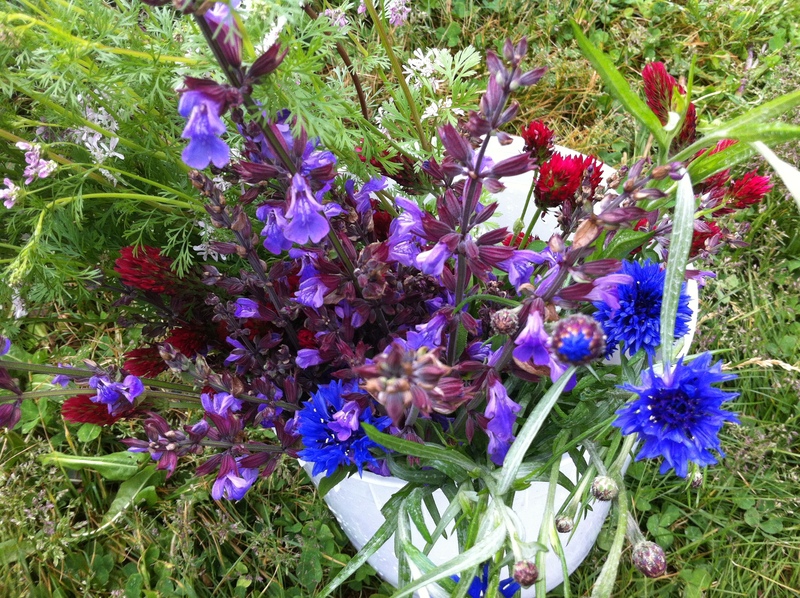 For some reason I’m really enjoying weeding on the farm. (check in with me 4 months from now on that!) It seems much easier and more pleasant than weeding in my own yard. Go figure. I also thought it might be cool to have elementary school kids who come for field trips – perhaps through an art class – select a plant to sketch, draw, paint, or write a poem about – and to auction their artwork off later on at a fundraising event. making dibblers – suggestions included old bicycle tires with bolts attached…can be rolled down a row to create regularly spaced holes for seeds, etc. Lots of opportunities to be creative with this one! a Farm Photo Exhibit – create a book or documentation of how one bed changes over the season, or of the farm in general…again, lots of ways you could approach this. 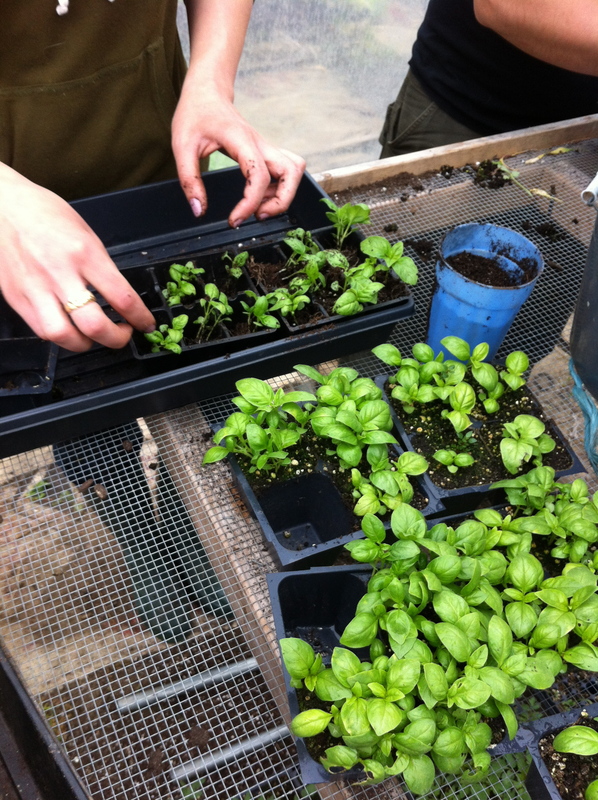 silk-screening – using plants from the farm to create images for printing on bags and T-shirts, which could then be sold at our Farmer’s Market. I assume we could use screenprinting presses in the high school for this…not sure. 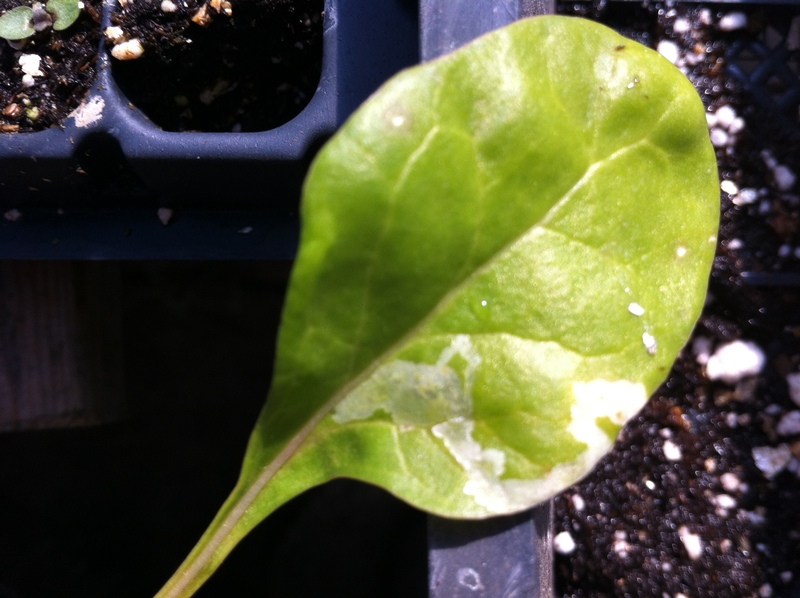 worm composing – building bins, signs and educational materials, and taking care of the worms, collecting compost tea, etc. creating a poster board of insects and pathogens that are commonly found on the farm – high school kids might be more inclined to go check out the poster board rather than consult a field book. build and maintain a kiosk / display case to inform the public about the farm, upcoming events, and how they can get involved. As you can see, there is no shortage of great ideas! I don’t know how I’m going to decide. 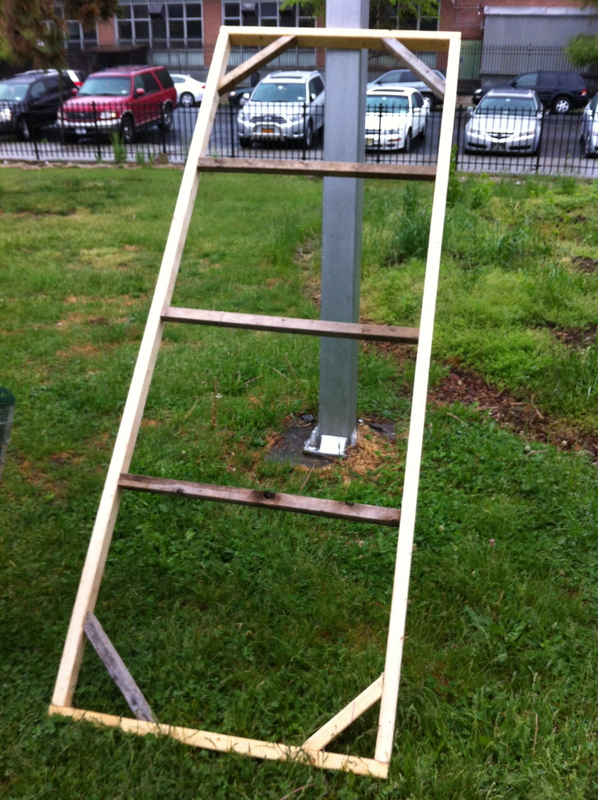 I think I can safely rule out social media, but there are a lot of things that really interest me: building a chicken coop, making a dibbler, silk-screening, worm composting, value-added products for the market…I also have a little experience hosting fundraisers, but it might be nice to try something new. By Wednesday I’ll have to have a plan!